6x4mm. 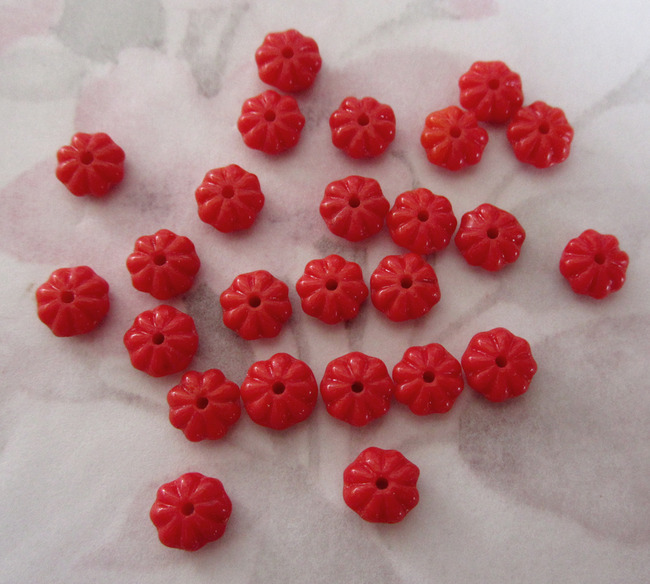 Vintage glass red flower beads from Austria. New old stock.